TRUE CONCESSIONS:Between a combination of campaign fatigue, a full social calendar, and the free pass that Hillary Clinton afforded all of us by bowing out of the race and giving Barack Obama his due, I took four days off after the last primaries, and this is my first day back on this page after Senator Clinton’s bow-out on Saturday. Hillary gave it her all, and comported herself horribly at times in her nearly 17-month cage-match battle for the Democratic nomination for the Presidency Of The United States, and in the end, she almost took this fight to overtime. She would still be horrible if she would have stuck to her guns and taken this battle to its bloodiest end in Denver, as she threatened at least as recently as last Tuesday night, but she didn’t. I don’t need to revisit most of the critical things I’ve said about her here the last four months, because even though she came very close, in the end she didn’t torch the barn just because Dad didn’t give her her favorite pony. She did the good thing. This was no small thing. Never mind that she’s human and, no matter how desperately she comported herself at times, she fought with every fiber of her being, and when you lose after giving every atom of yourself, that’s a blow. But more significantly, this is a woman who isn’t used to losing, whether in her own pursuits or in support of her husband, who has so often been his own and their worst enemy. 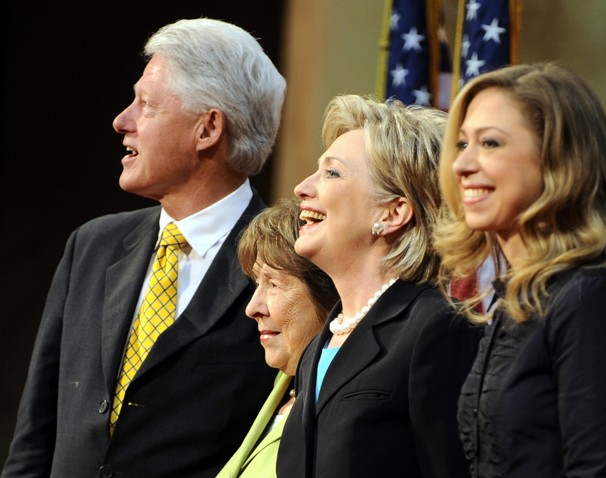 Regardless of everything that comes at them, the Clintons don’t lose. She came into this race when even before she declared in January 2007 she was the anointed nominee and the wife of the biggest rock star in the Democratic Party. And she got sandbagged and lost. Like Al Gore in 2000 when he treated Bill Clinton–the most popular politician in America and the last two-term Democratic President since Franklin Delano Roosevelt–like he’d been caught with Jon Benet Ramsey’s DNA on a chloroform-soaked towel in his glovebox, Hillary has to deal with the consequences of her miscalculations, and that a bad judgement or two kept her a hair’s breadth from the greatest job in the world. She didn’t capture the popular imagination in Iowa. She didn’t recant her vote to go to war in 2002. She hired Mark Penn who came recommended as the biggest (if most compromised) PR genius that a huge campaign war chest with little concern about the popular perception could buy, and he proved the worst executive decision since Michael Eisner hired Michael Ovitz to head Disney. Anecdotal evidence suggests that Penn spent his time as Clinton’s head strategist manning his Blackberry keeping attention on his Burson Marsteller clients and earning his $18 million dollar salary from the Clinton campaign by checking his emails from them when he had time and tossing off bullet points culled from Theodore White’s The Making Of The Presidency, 1960 to justify his position, since he was sure that Hillary’s nomination was a given, and he could show up drunk if he wanted to and there wasn’t a chance in hell she’d lose. Worst of all, and this was mostly his bad, they didn’t plan on what they’d do after February 5th if they didn’t cinch the win on Super Tuesday. And they didn’t. It was Mark Penn, in fact, who postulated in one early campaign meeting that she would nail the nomination with California’s 441 delegates. Unfortunately, he didn’t know the the winner didn’t take all, and that with proportional representation, Hillary wouldn’t win anything close to California’s 441 delegates. As dumb as the things as I’ve done at my day job, I’ve never been that stupid, and I’m only making $16 an hour, not $18 million for less that a year’s work. Politics is a game of inches, and it all goes back to strategies scripted before that final goal-line push is made. Hillary was an able quarterback, but she had bad coaches, and didn’t have the confidence and judgment to call in her own plays when her opponent was picking up more yards. Given the political histories of Israel, Great Britain, Pakistan, and other countries, America is overdue for a female President. But it’s not her. At the end of the day, she got beat by the better candidate, who just happened to be a black man. She lost. And she ultimately ended it honorably. She lost the conference championship, but good on her in the end because she’s doing the right thing and putting all her support behind her erstwhile opponent in the Super Bowl. She’ll be fine in the Senate, as a possible Supreme Court Justice, but as a Vice President? Well, let’s get on with our bi-weekly prognostication of the Democratic possibles. 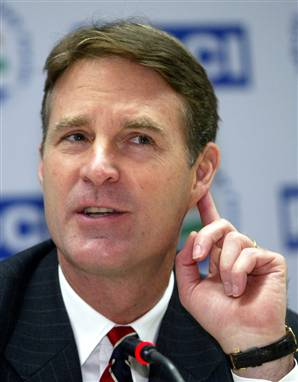 Evan Bayh – Governor, Indiana: I’m not bailing on this pick yet, but I’m close. Make no mistake, Evan Bayh is smart, clean, and with military bonafides given his seat on the Senate Intelligence and the Senate Armed Forces Committee, he isn’t a nancy liberal Democrat. He’s got old-school Democratic cachet in a very Red state. But it’s a Red state with a Red governor and he gets to appoint a U.S. Senator if they lose one to the Vice Presidency. Last I checked, regardless of the taint cast upon the Republican brand, Mitch Daniels wasn’t one to reach across the aisle and toss that kind of apple to a Democrat, no matter how beneficient a self-preserving Republican might be in this very Republican year. Besides, Daniels isn’t up for re-election until 2010. There’s also the recent Mother Jones analysis that says that an in-state candidate, regardless of party, can only hope to add 0.3% of the state’s popular vote for their favorite son. That might swing a big johnson in Ohio, but it’s probably a loser in the Hoosier. This is still a reluctant and long good Bayh, though. Hillary Clinton – Senator, New York: She was very gregarious and sincere in her concession, and I have no doubt she’ll work her tail off for Senator Obama in the fall, and I don’t even think her hesitance to concede quickly enough will kill her, nor will RFK or “he’s not a Muslim as far as I know” or any of her other self-serving gaffes during the primary campaign. What will? Bill. Never mind that he’s a half-empty glass of melted ice compared to the cool Mojito he was in 1992 and 1996, he’s very nearly been Roger Clinton to Hillary’s run this year. A recent Todd Purdum article in Vanity Fair suggested it might be some side-effect of his 2004 bypass surgery and the post-op meds he’s had to take, but whatever the case, he’s become in his short-tempered latest act Hillary’s biggest embarassment. Besides, the last thing Barack Obama wants is a testy, bored Bill Clinton in jams and a Razorbacks tee-shirt coming around his office every morning asking what the hell is taking him so long to approve the F-22 for sale to Israel. No one needs that. But she did give a gracious concession speech, and she’s got a hell of a lot of angry women to mollify.